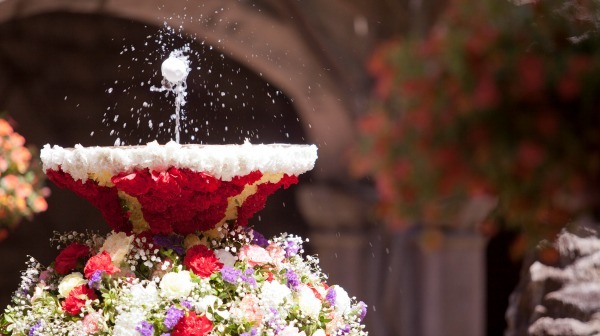 The Feast of Corpus Christi, for centuries regarded as the city's big annual festival, has a history that stretches back over 600 years in Barcelona. Today the most representative giant and other festival figures parade in the "Popular Retinue". In times gone by this became a model for many other towns across the country. The main act in the celebration is the procession, which these days consists of two entirely separate parts. 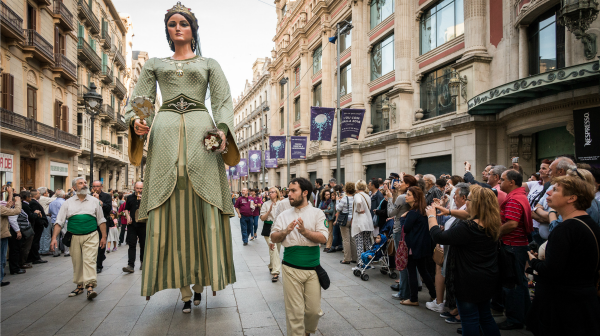 One is the festive part, in which the Seguici Popular de Barcelona, the Popular Retinue of giants and other figures expanded for the occasion, as established by festival protocol, parades round the city centre streets and squares, accompanied by music and performing dances. The other is the Corpus Christi procession to the Cathedral, which has a strictly religious character. The festival programme also contains other examples of popular culture, such as the dancing egg and the sardana, a traditional circle dance. 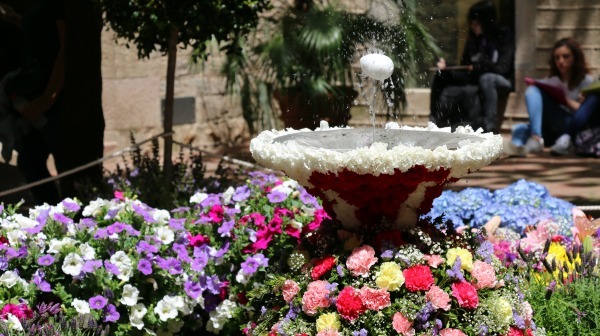 After Corpus Christi stopped being a public holiday, the procession was moved from Thursday to the following Sunday. The Feast of Corpus Christi was introduced in the 13th century as a celebration of Holy Communion andas the Church's reaction to currents threatening its doctrine. From then on it spread across Europe and even today, six centuries later, it is still a religious, social, cultural and festive event of great importance. The Feast of Corpus Christi was introduced in 1262 by Pope Urban IV but it was really following the papal bull issued by Pope John XXII, in 1316, that it spread throughout Christendom. That was how it spread across Europe, where it grew in importance as time passed. 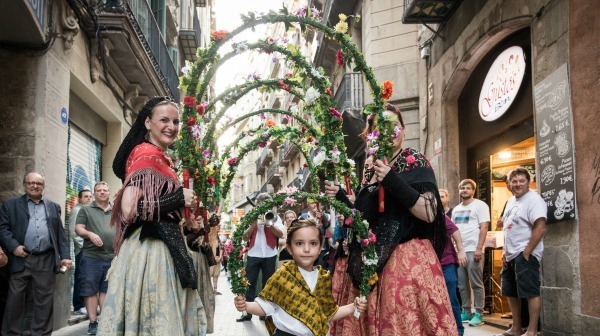 Barcelona began to celebrate the festival, especially its most characteristic element, the procession, in 1320. Thereafter it became the most important civic, religious and festive event in the city, serving as a model, in terms of its content, form and function, for many other popular celebrations and folk events round the country: the giants, big heads, beasts, devil dances, folk dances and musicians that today make up our intangible heritage. At the end of the 1970s the procession disappeared from the festival following the recommendations and stipulations of the Second Vatican Council. 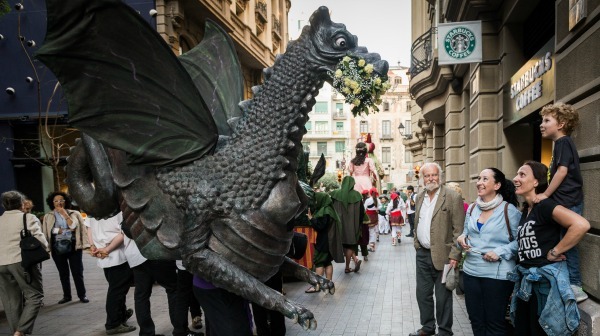 But in 1992, various traditional and popular culture associations, along with Barcelona City Council, decided to revive one of oldest and brightest festivals in the city's history. That's why they promoted the dancing egg tradition and started holding the procession again. 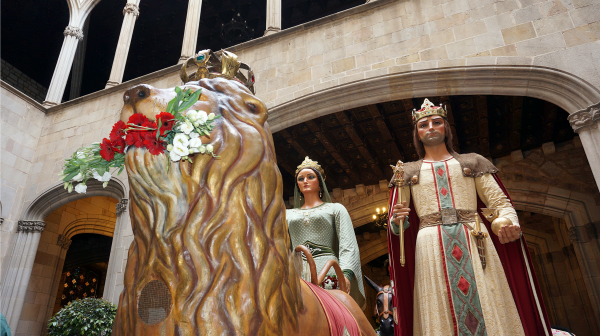 During the Corpus Christi festival the City Hall has an exhibition of the animal and other figures that make up the city's Popular Retinue: the City, Pi and Santa Maria del Mar Giants, the City Eagle, the Lion, the Mule, the Ox, the Víbria, the Dragon, the Tarasca and the Cavallets Cotoners. L’ou com balla. 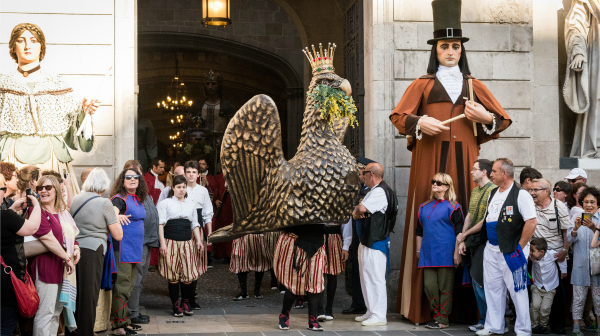 The dancing egg tradition has been a feature of Corpus Christi in Barcelona since 1440 at least. 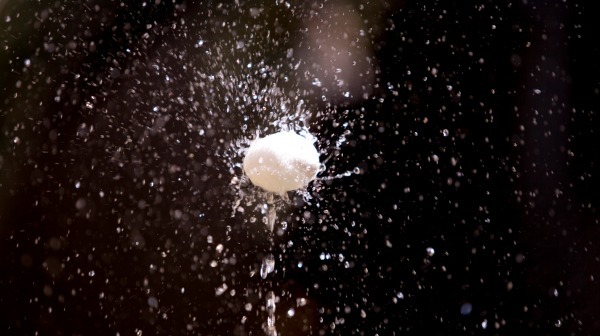 It involves making a hard-boiled egg dance on a jet of water from sprinklers and fountains to be found in the cloisters, courtyards and gardens of some public buildings and private houses. 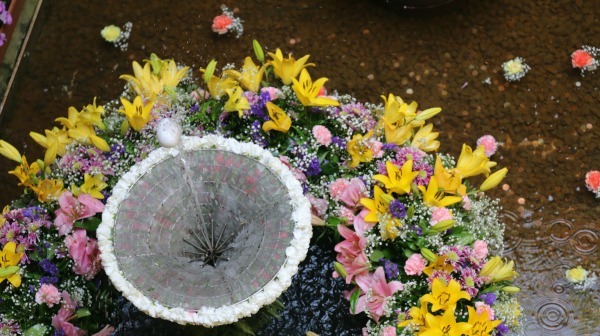 The jet the egg dances on is surrounded by a basket decorated with flowers and cherries. The origin of this unique water game has been much debated and is open to various interpretations. One is that it was a form of entertainment among the city's nobles and burghers while they waited for the procession. There is also a lay interpretation, that it was the excitement of spring, the explosion of fertility with a stream of water. 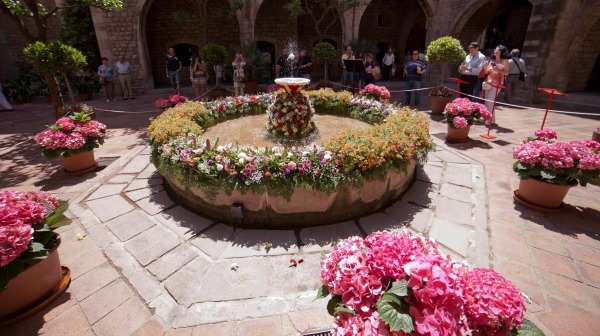 And there is a religious one too, according to which the egg represents the exaltation of Holy Communion over the chalice, the basket surrounding the jet of water. The Corpus Christi procession. The procession, celebrated in Barcelona since 1320, is a civil, popular and religious festival. It includes a big demonstration of dancing and imaginary festival figures that have provided a model for many other celebrations around the country. 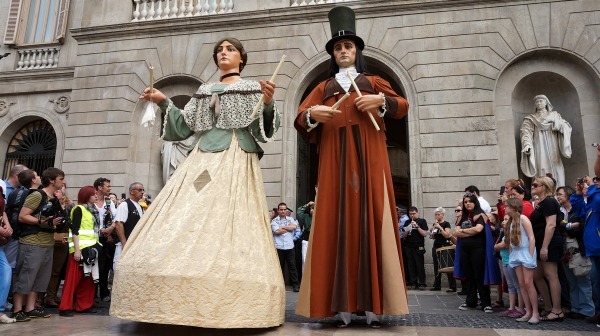 The Seguici Popular de Barcelona, the Popular Retinue of giants and other figures expanded for the occasion, as established by festival protocol, parades round the city centre streets and squares, accompanied by music and performing dances, ahead of the Corpus Christi procession to the Cathedral, with the monstrance on the throne of King Martí, under the canopy. On the Sunday following Corpus Christi Thursday, the new Casa de la Caritat or Corpus Christi Giants perform their dance in Plaça de Sant Jaume at 7 pm, to signal the start of the procession. 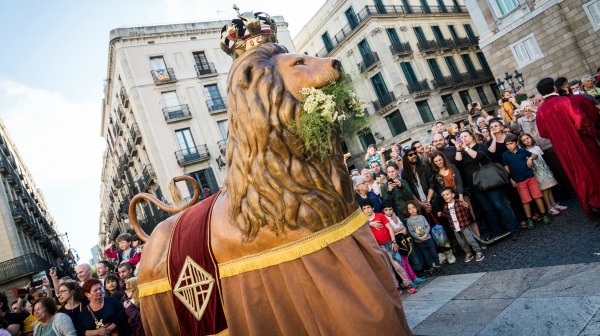 Then, adorned with flowers, the other festival figures taking part – the Eagle, Lion and other animals – leave City Hall with the music ensembles that accompany them along the way to Avinguda de la Catedral. The sardana dance. 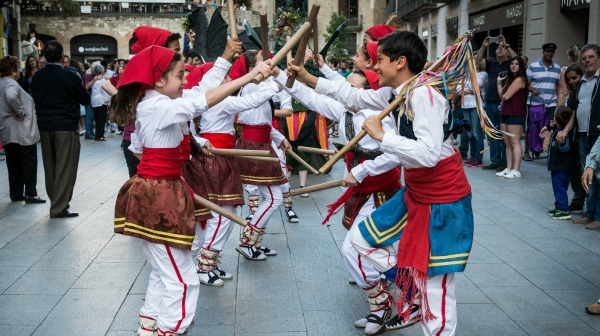 On Corpus Christi Thursday, also at 7 pm in Plaça de Sant Jaume, there is the traditional sardana dance, which is led by the Cobla Ciutat de Barcelona, the sardana band awarded the title of "city ensemble". 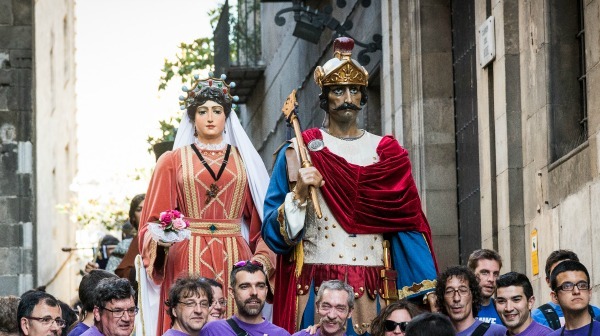 The Heir and the Illegitimate Daughter (Hereu and Borda), the new Casa de la Caritat or Corpus Christi Giants, were made to replace the old Casa de la Caritat or Carnival Giants, which were in a very bad state after being taken out for so many years and stored away to preserve them. 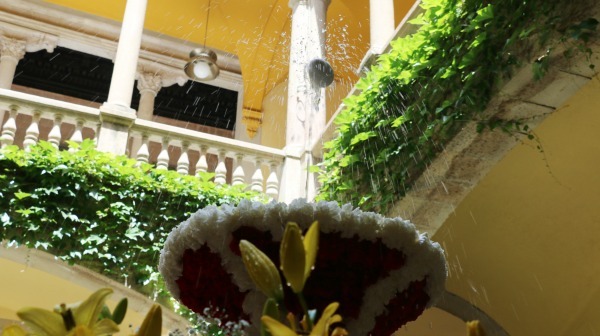 The new couple were created by Emili Ferrer i Espelt, in 1919, and from the very beginning they were regular participants in the Corpus Christi processions of the Casa de la Caritat and other city parishes. The new couple were put away with the old couple in 1964 but in 1987 the Barcelona Provincial Council decided to restore them. Since then they have never missed a Corpus Christi Cathedral procession, when they perform the "Barcelona Corpus Christi Giants' Dance" to start it off. Protocol festiu de la ciutat de Barcelona. Barcelona City Council. Institute of Culture.